Go to the App Store and install Cisco AnyConnect. Select "AnyConnect-VPN" to establish the connection. 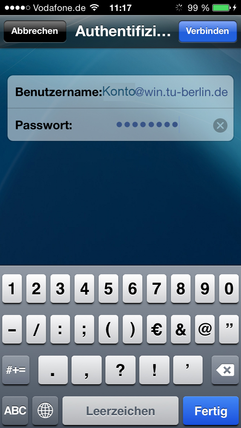 You will now be asked to enter your username (<tubIT-username>@win.tu-berlin.de) and password. You are now connected. To disconnect click "AnyConnect-VPN" once more.